Friday was Arbor Day. 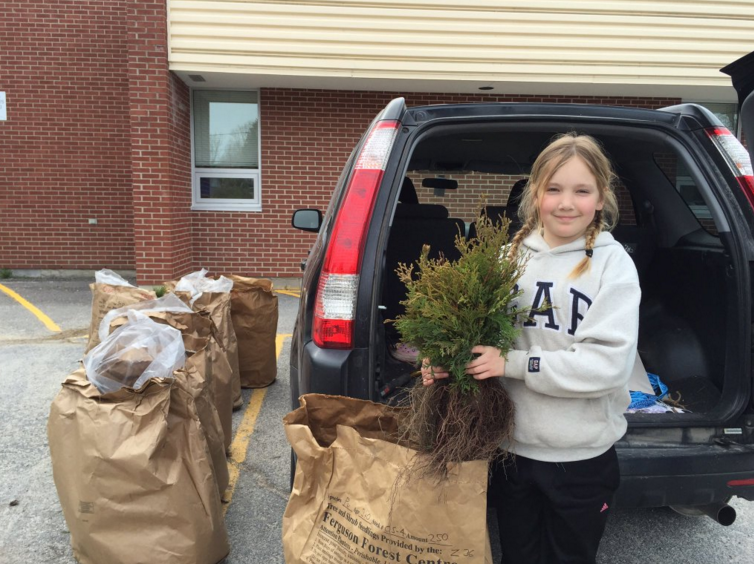 Clare and I celebrated Arbor Day selling seedlings at her school. This is the fourth year we’ve held this popular fundraiser and once again I was surprised and touched by the interest and support in our little community — we sold out of our 1,500 seedlings. After travelling so much in the past month, and seeing from the skies and road how much of our land is being developed and the shrinking tracts of forests, I feel even more passionate about what we’re doing and the need to plant for the future. One large tree can supply a day’s supply of oxygen for four people? Trees cool our planet by providing shade and through the evaporation of water from their leaves. The cooling effect of one large tree is equivalent to 10 room size air conditioners operating 20 hours a day. The Ontario Government and Forests Ontario are inviting Canadians to celebrate Canada’s 150th birthday by taking part in the Green Leaf Challenge and plant three million trees in Ontario. The Ontario government has committed to planting 50 million trees by 2025 and is making it easy for landowners to participate by offering subsidies and tax savings. Add your trees to their online counter at greenleafchallenge.ca. Here is how you can get involved and help. 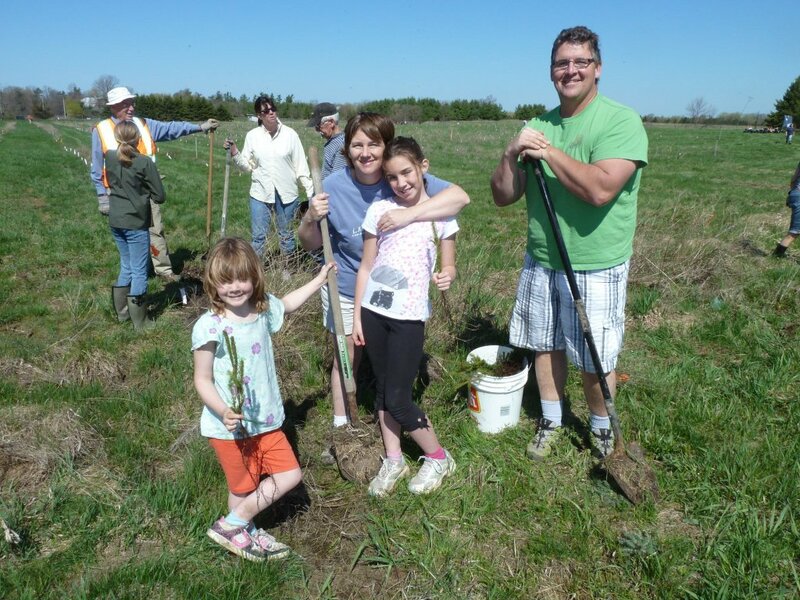 May 6th is Community Planting Weekend sponsored by Forests Ontario. There are tree planting “bees” happening in York Region, Windsor, Niagara Falls and Cambridge. Here in Kingston, we’ll be planting trees with the Cataraqui Region Conservation Authority at Lemoine’s Point Conservation Area, starting at 9 a.m. at the north entrance off Bath Road at Coverdale. Bring boots, a shovel and gloves. All are welcome. Register to become a Forests Ontario member. Receive Our Forest magazine (it’s also available online if you’re an Issuu subscriber). This week’s #HappyAct is to plant a tree. Happy planting, everyone! hi are these seedlings going on some of the land? that would be wonderful! i tried to grow more trees, but coudn’t get enough water up there. on top of the hill and coming down, on the right side… and left of the driveway…..